It’s at school. At work. At home. Your grandparents have it. Your doctor has it. Your child has it. You may have it. September is Arthritis Awareness Month in Canada and Canadians will be reminded that arthritis now affects more than 6 million patients in the country living with more than 100 separate types of arthritis and musculoskeletal diseases. The most prevalent and costly to Canadian society is osteoarthritis. In this special issue of JointHealth™ insight, Arthritis Consumer Experts (ACE) provides a detailed look at living well with osteoarthritis. We also provide a special “back to school” primer for students living with arthritis. Finally, ACE invites you to join them in spreading awareness about arthritis during Canada’s Arthritis Awareness Month by participating in their #WhereIsArthritis social media campaign. 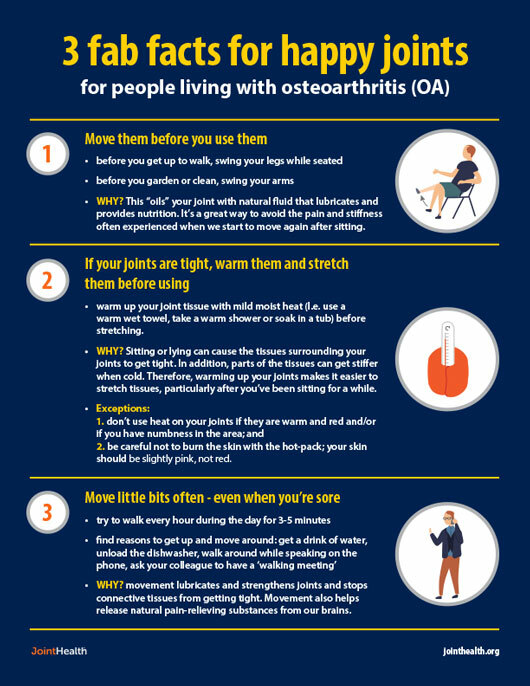 Osteoarthritis (OA), the most common type of arthritis, is a progressive joint disease that occurs when damaged joint tissues are unable to normally repair themselves, resulting in a breakdown of cartilage and bone. OA—particularly knee OA—is one of the fastest growing chronic conditions worldwide, due to rising numbers with obesity and knee injury and increasing lifespan. In Canada, OA affects 1 in 8 (13%) Canadians and has a significant impact on long-term disability and the Canadian labour force. Findings from the Arthritis Alliance of Canada’s The Impact of Arthritis in Canada: Today and Over the Next 30 Years indicate that the burden of osteoarthritis in Canada is expected to have significant consequences in terms of health and costs on Canadians today and over the next 30 years. There are currently more than 4.5 million people living with OA. Within a generation (in 30 years), more than 10 million (or one in four) Canadians are expected to have OA. There will be a new diagnosis of OA every 60 seconds, resulting in almost 30% of the employed labour force (one in three workers) having difficulty working due to OA. In addition, approximately 500,000 Canadians will be suffering with moderate to severe disability due to OA. Currently, there are no medications that effectively treat the underlying disease process of osteoarthritis, only medications to treat the symptoms associated with the disease such as pain and inflammation. For this reason, non-medication treatments such as physical activity are often considered the “best medicine” to treat osteoarthritis. *Sharif B, Garner R, Hennessy D, Sanmartin C, Flanagan WM, Marshall DA. Productivity costs of work loss associated with osteoarthritis in Canada from 2010 to 2031. Osteoarthritis Cartilage 2017;25(2):209-258. What should I know about osteoarthritis? OA is a condition of the whole joint, not just the cartilage, and is probably the result of the joint trying to repair itself. For the majority of people with OA, joint pain will not get progressively worse. The amount of pain in a joint does not necessarily relate to the amount of joint damage. In other words, severe pain does not necessarily mean severe damage. Joints need to be exercised regularly to keep them healthy. What should be part of my self-care plan for managing OA? 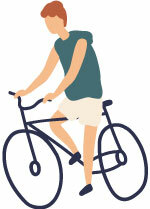 Patients with hip and/or knee osteoarthritis should consider enrolling in the GLA:D®. Canada program. GLA:D® is an 8-week exercise and education program that is based on the latest OA research and is proven to reduce pain and loss of joint function for participants. To learn more about the program and how to participate, please visit their website: http://gladcanada.ca. Recent research has shown that weight loss in people living with knee osteoarthritis who are overweight significantly decreased their pain, increased their knee joint function, and ultimately, improved their quality of life. 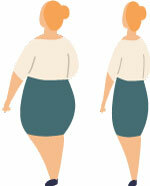 Researchers identified healthy eating and increased levels of activity as the best ways for weight management. 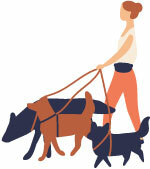 Many people find it difficult to get started on an exercise program because of their pain. In this case, many doctors recommend taking a pain reliever (such as acetaminophen or Tylenol®) about 30 minutes prior to starting exercise. Depending on a person's joint complaint, using ice or heat, according to one's preference, is a non-medicinal treatment that may be effective at helping people with osteoarthritis exercise effectively-and with enjoyment. Using ice, heat, and complementary therapies are common ways that people with OA relieve pain. The following sections will cover these topics. Returning to school in the fall, whether it be elementary school, high school or university, can be stressful enough without the added complexities of living with an inflammatory arthritis (IA). One of the most challenging times of the year for students living with IA is the start of the school year. Based on surveys with students living with IA and their parents, ACE is sharing some of their strategies, learned through trial and error, that help balance student life with the complexity and unpredictability of IA. Below is a “checklist” to help prepare for the school year. Most universities and colleges in Canada have an accessibility department (sometimes referred to as a disability resource center). To register for these types of programs, students need to provide some medical documentation to show that their IA affects their school performance, and then they can request accommodations to help you through the school year. For example, being able to write exams and in-class essays on a computer is a helpful accommodation if a student experiences pain in their hands when hand-writing for a long period of time. Students can also request assignment extensions when they need it. Though they may not use all of these accommodations, students living with IA should be reassured to know there’s likely a solution in place if and when they get flare ups. Whenever possible, students choose courses based on the times that they are held. However, students living with IA are aware of how their fatigue works in a daily cycle. They may have lots of energy in the morning, but by late afternoon, they might need to lie down and rest. For this reason, students living with IA may want to schedule classes in the morning, and close together so they don’t have to stay on campus for hours between classes. Students may also try to space their classes out evenly over the week to conserve energy and ensure that if they do need to miss a day, they don’t miss a number of classes at once. At school, there are often social moments or situations that require students to quickly explain their IA to someone new. For example, when doing a group project, they may have to explain why they can’t meet late at night or do the whole project in one long 12-hour day. Inflammatory arthritis isn’t something that’s widely understood and sometimes might not be taken seriously due to public misperceptions of what arthritis is. To make social situations less awkward and to ensure people understand the on-campus challenges of living with IA, students should have a short script in their head that they can easily use when necessary: “I have an autoimmune disease that really limits my energy so afternoon study sessions work better for me…”. Another source of frustration living with IA is it can be hard to make plans. You don’t know how you’ll feel days, weeks, or months ahead. That makes it hard on a student’s social life. A simple strategy if a student has to turn down an invitation to go out is simply ask for a rain check and then follow up when you’re feeling better. I have an autoimmune disease that really limits my energy so afternoon study sessions work better for me”. Stress levels can directly impact a student’s IA, which is why flare-ups tend to happen at the most high-stress, inconvenient times, such as final exams. For this reason, stress management skills such as slow breathing, meditation and mindfulness can be an important aid during the school year. Try to work on developing these skills during a low-stress time, so that when things do get stressful, you are prepared to manage the stress and avoid any additional pain and fatigue. Juvenile idiopathic arthritis (JIA) affects approximately 24,000 infants to teens in Canada, or 3 in every 1,000, making it one of the most common causes of chronic disability in children. Approximately 60% of children will have active disease into adulthood. According to Cassie&Friends Society, a national charity working to save and change the lives of children with arthritis, for a parent of a child with juvenile arthritis, September’s approach means far more than just the buying of school supplies and new clothes. It also requires some special preparation for a child’s new teachers, daycare providers, coaches and more. Despite being such a common disease in children, many teachers are still unaware that kids can get arthritis and most will have had limited, if any, experience teaching children with this disease. Which joints are affected and how the joint pain or stiffness may limit performance in schoolwork or participation in classes such as physical education. Try to emphasize that symptoms may fluctuate over the course of the day, week or month. Which medications your child is taking and the side effects she experiences as a result. Expectation of absences due to doctors appointments and late arrivals due to morning stiffness. Awareness of sadness or embarrassment as a result of your child being “different” from their peers. Remember, teachers will be spending several hours each day with child. They may notice physical or emotional changes that parents haven’t seen at home. An open line of communication will be important for a child’s success during the school year. 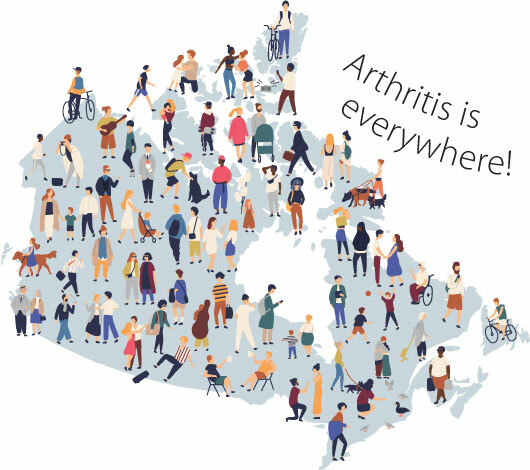 Arthritis Consumer Experts is celebrating Arthritis Awareness Month in Canada with the #WhereIsArthritis social media campaign. #WhereIsArthritis is a fun way for you to familiarize yourself with ACE’s online resources, which are designed to help you live a better life with arthritis. By participating, you are creating awareness about arthritis while educating yourself and others about the many different types of diseases, and showing your support for people living with it. Find and tweet, Facebook post or email the answer to us – Be sure to include the #WhereIsArthritis hashtag! Each time you do any of the above from your personal social media account, your name will be entered into a draw for a $50 Amazon gift card. The draw will take place on Wednesday, October 3, 2018 and the winner will be notified by direct message or email. Let’s find #WhereIsArthritis resources together! Over the past 12 months, ACE received grants-in-aid from: Amgen Canada, Arthritis Research Canada, AstraZeneca Canada, Canadian Biosimilars Forum, Canadian Institutes of Health Research, Celgene, Eli Lilly Canada, Hoffman-La Roche Canada Ltd., Merck Canada, Novartis Canada, Pfizer Canada, Sandoz Canada, Sanofi Canada, St. Paul’s Hospital (Vancouver), UCB Canada, and the University of British Columbia. ACE thanks funders for their support to help the nearly 6 million Canadians living with osteoarthritis, rheumatoid arthritis, psoriatic arthritis, ankylosing spondylitis and the many other forms of the disease. ACE assures its members, academic and healthcare professional collaborators, government and the public that the work of ACE is free from influence of its funders.